Airline pilots raise questions about a possible clash between management culture and air safety. Pilots are a troubled lot. Too many are hand tied and frustrated by an industry that rewards those who play the game and ignores aviators whose sense of safety and old school rules might prove an obstacle to companies with an eye only for the bottom line. Pilots have families and kids to put through school, mortgages, and a career that demands a high level of education and an intellect which matches common sense with science. Being urged to keep their opinions to themselves when a company plane has gone down is as common as it is wrong. Pilots are again feeling the heat after AirAsia Flight QZ8501, with all 162 people aboard the Airbus A320 presumed dead. 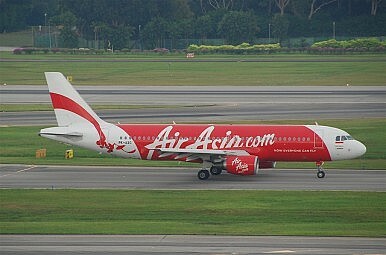 Malaysian company AirAsia, its Indonesian subsidiary, and local authorities have been quick to blame bad weather. However, some pilots are not so sure and say corporate culture, management practices, and costs, in particular fuel, could well have played a part in the loss of QZ8501 over the Java Sea, en-route to Singapore from Surabaya in Indonesia – and in the two aircraft lost by Malaysia Airlines last year. Of course, the AirAsia tragedy came after Malaysia Airlines Fight MH370 went missing, probably over the southern end of the Indian Ocean in March, and after MH17 was show down over Ukraine four months later, probably by Russian-backed rebels in Crimea. Some now believe that MH370 came to end after a possible lithium battery flamed out. Regular travelers will have noted in recent months how check-in baggage handlers often ask whether lithium batteries had been stored in their luggage. Malaysia Airlines has also insisted there was nothing wrong in MH17 using the Ukrainian flight path because the international authorities had no objections, despite the conflict taking place below. But MH17 also went down in an area other airlines had refused to fly over, despite the extra fuel costs involved in flying around the trouble spot. It’s those types of management decisions that are raising the angst among pilots who’d prefer not to be named. One, who spoke to The Diplomat on behalf of his contemporaries, said the questions in the case of AirAsia that needed to be answered immediately were: How much fuel was on board, and above the minimum required by law when QZ8501 took off? Did the pilot request any extra discretionary fuel? What is the culture regarding the carrying of extra discretionary fuel at AirAsia? Does AirAsia have a culture that reinforces pilots’ natural attitudes towards safety, or does it have one that erodes safety, through small cumulative punitive measures? “If the weather was that bad, so bad that it was impassable or he would have to deviate so extensively he would reach his ‘minimum fuel limit’ then he would have to decide on whether to turn back. To turn back is tantamount to career suicide to some pilots in some cultures,” this pilot said. The pilot said all pilots defaulted towards safety, or at least should, and company culture either supports that default position or erodes it. AirAsia Chief Executive Officer Tony Fernandes has proved himself more adept at handling the media than his peers at Malaysia Airlines. Some scribes have even suggested he is now some kind of CEO role model for airlines in distress. This is nonsense. At the end of the day the ultimate responsibility for any crash rests with senior management and CEOs like Fernandes and Ahmad Jauhari Yahya at Malaysia Airlines, who actually had his contract extended after the loss of 537 lives from two flights on his watch. In case you haven’t noticed, MH370 is still missing and, alongside MH17 and QZ8501, is a great example of how senior management in the aviation industry always seem to be at their best when distancing themselves from the tragic disasters that occurred under their stewardship. Did the Islamic State Just Hack Malaysia Airlines? Embattled airline falls victim to a cyberattack by alleged ISIS-linked group.